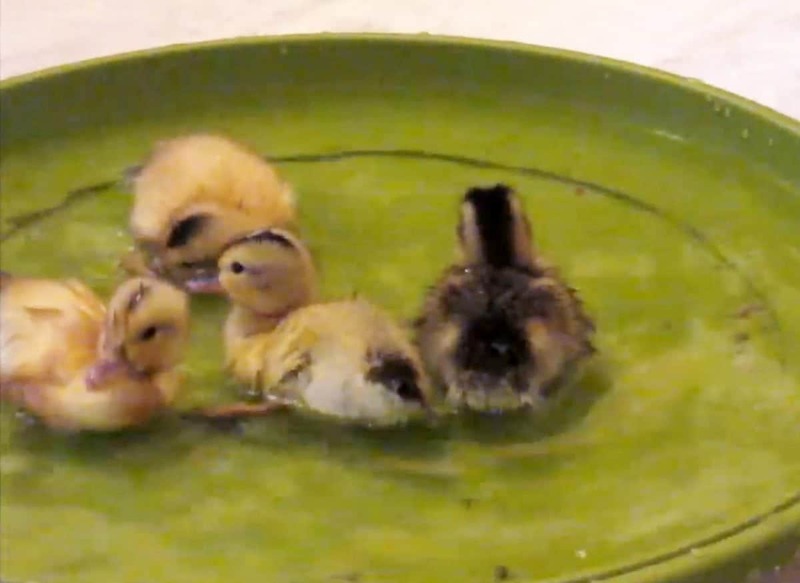 This cute video shows a brood of ducklings taking to the water for the first time – in an upturned plant saucer. The clip captures the incredible natural instincts of the birds after they were hatched as part of a school educational programme. Despite not having their mother to follow, the youngsters are drawn to a small upturned plant saucer bought at Wilko. 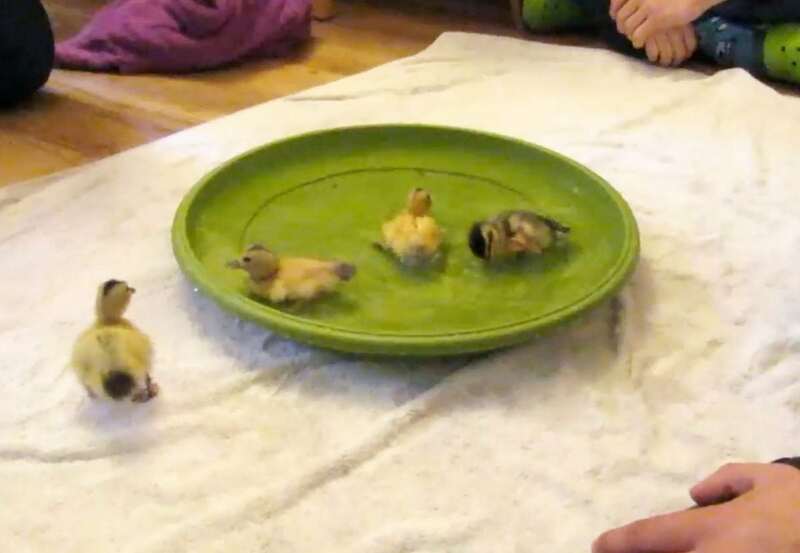 The chicks are visibly excited by the water and nervously run around the saucer before finally plucking up the courage to dive in. IT consultant Dave Stovell, 51, shot the footage at his home in Chippenham, Wilts., where the eggs were incubated as part of the Hatching for Schools project. He said: “We set it up for the ducklings to be able to swim, the tray is a large plant saucer from Wilko. “We didn’t want to force them to swim, it was their choice and they just loved it. “We just picked an area, which wouldn’t matter if it got wet, where they could be kept safe and let them do what they want.